I am a sucker for local delights. So when I discovered Colonial Club Signatures was selling local food with a British twist, I knew I had to give it a shot. Nested in the basement of Paragon Shopping Centre, this place definitely gets a steady stream of customers from tourists and people working nearby. 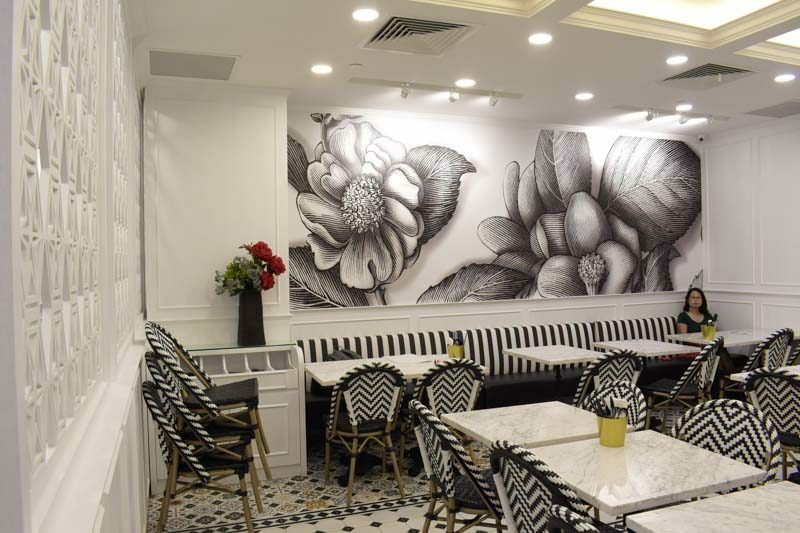 The place adopts a modern black and white concept, which can be seen from their furniture and aesthetic wall mural. I really liked the contrast between the archaic floor tiles and modern furniture. Despite having a decently large store space, this place gives off a cosy ambience with its warm lighting. 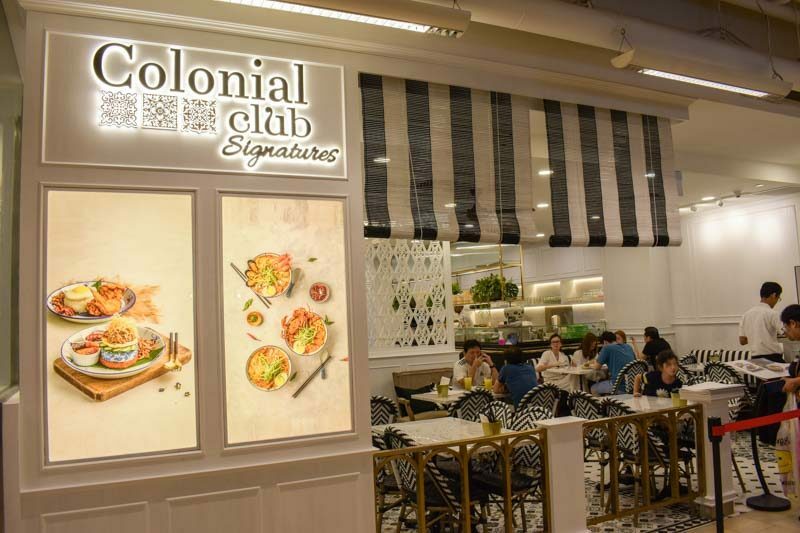 Colonial Club Signatures infuses a harmonious blend of Eastern and Western styles into their Peranakan dishes that seeks to evoke nostalgia in their customers. A large selection of Singaporean favourites is also available such as chicken rice, laksa and nasi lemak. With a plethora of options available, I was spoilt for choice but ultimately settled on their specialities. 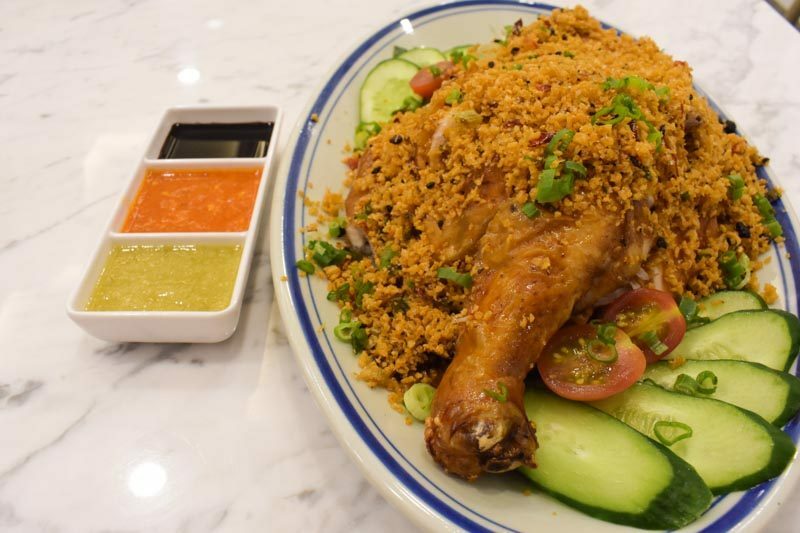 The Signature Colonial Club Garlic Roast Chicken (Half Chicken) (S$23.90) was first to arrive. It also came with two bowls of chicken rice, perfect as a meal for two. The blanket of fried garlic smelled heavenly and I was so eager to dig in. Not the crispiest roast chicken I have eaten, but the garlic was so good it made the dish really tasty. In fact, I was already satisfied just by having the tender meat with the rice. This is definitely a dish to order if you visit the Colonial Club Signatures! 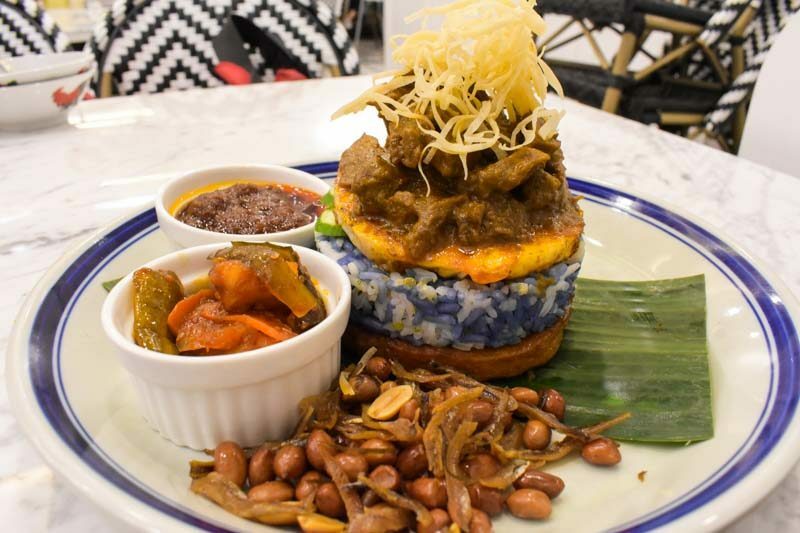 Next up, we have the fancy-looking Signature Nasi Lemak Tower (S$16.90). 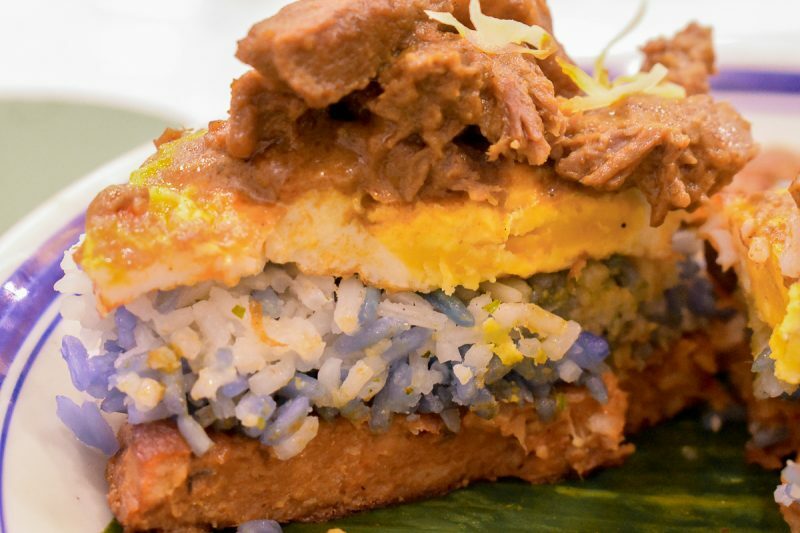 What’s unique is the usage of blue pea flower coconut rice, which got me excited about trying it. Though fragrant, the rice was a little mushy for my liking. However, the shortcomings were solved when paired with the irresistible sambal chilli and crunchy achar. The short rib rendang and the layer of homemade otak otak were delicious and I enjoyed how the bold flavours elevated the dish. It definitely hit the right spots so thumbs up! 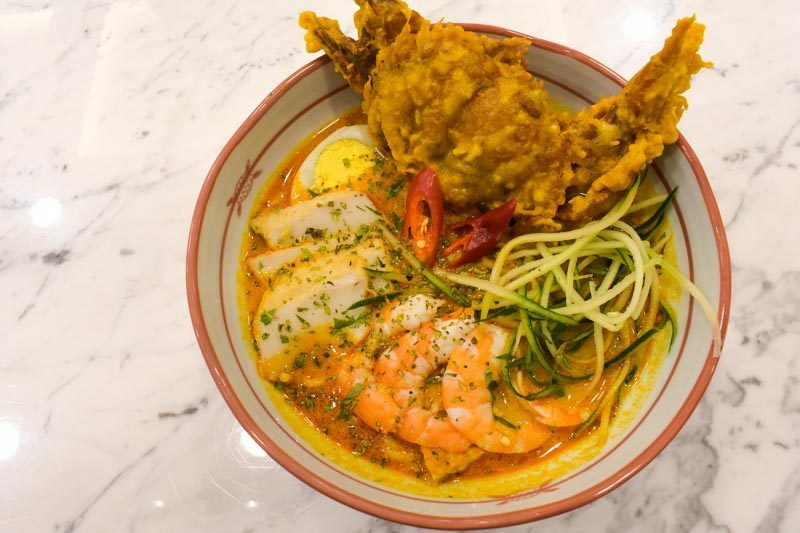 The Soft Shell Crab Nyonya Laksa (S$18.90) is definitely Instagram-worthy and got my expectations sky-high. 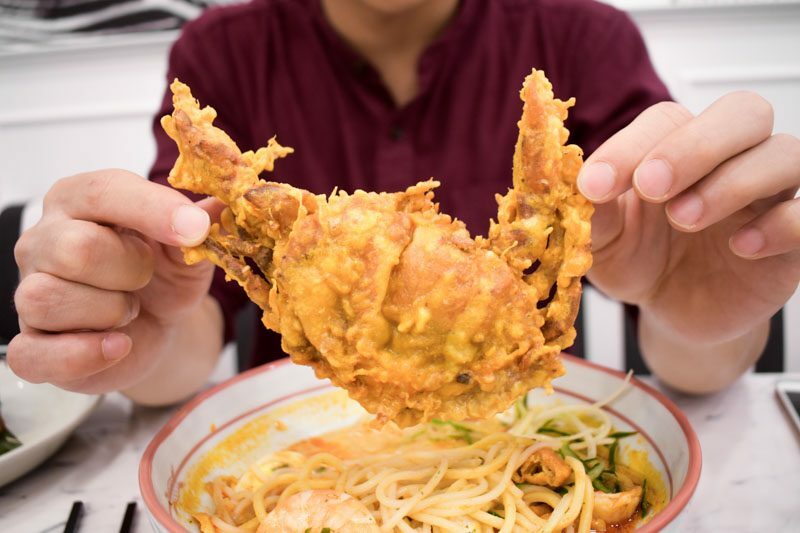 Layered with generous portions of seafood and a glorious deep-fried crab, this successfully whetted my appetite. However, the broth was underwhelming compared to its looks. It lacked the fragrance of the coconut milk, which is paramount in a good bowl of laksa. Though crispy, the soft shell crab lacked flavour and did not enhance the dish, which made me question its presence in the dish. The only aspect worth mentioning is the springiness of the noodles. Three dishes in and I was about to slip into a food coma, then came the Hainanese Chicken Chop (S$15.90). In case you were wondering, those three round balls at the side are lychees soaked in tangy tomato sauce. This dish awoke the kid in me as it was one of my favourite food to order since young. 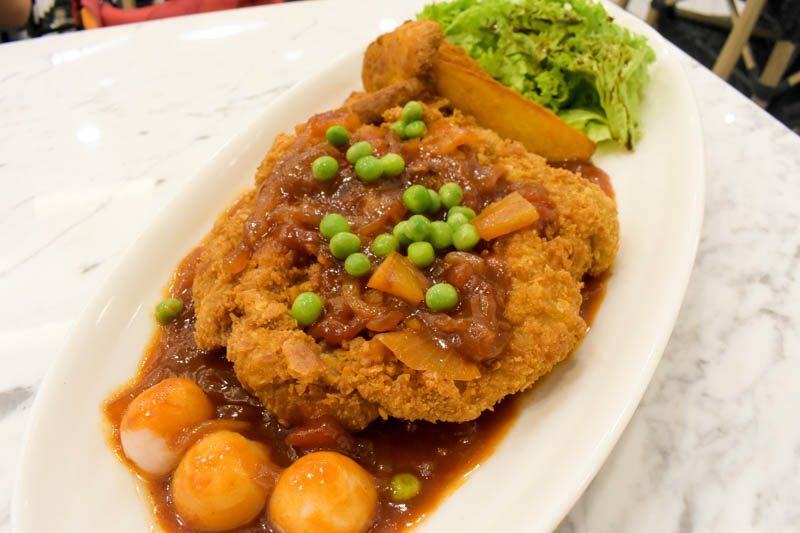 The outer crust of the chicken chop was crispy and did not have the dreaded floury taste. The succulent chicken dipped in tomato sauce was splendid and I enjoyed the sweet and sour flavours. Though it was well done, I felt that there was no novelty to it. Perhaps, a little tweak could be done to it make it more unique. I enjoyed my dining experience at Colonial Club Signatures. A few dishes were delicious, but with prices on the higher side as compared to their hawker counterparts, I would only plan a trip back on days when I feel indulgent. 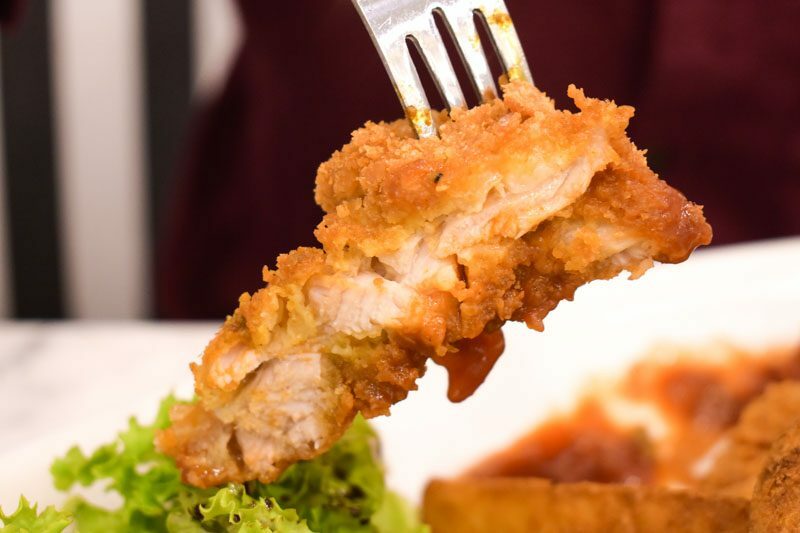 If you are seeking local flavours in a comfortable environment, do give Colonial Club Signatures a shot. Do note that there is another outlet at Changi Airport Terminal 3.